Home » Dermatology & Cosmetology » Modern Age Cosmetology: Sculpting The Beautiful You To Perfection! Modern Age Cosmetology: Sculpting The Beautiful You To Perfection! What is the Cosmetic Dermatology? 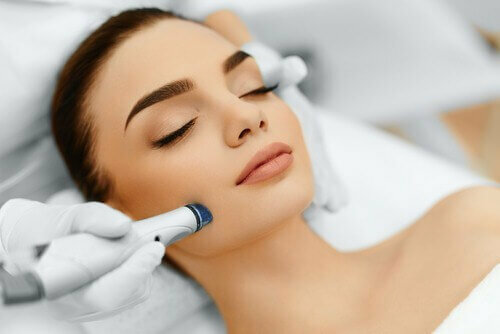 Modern technology has brought various new therapies for skin and aging conditions with minimal or no downtime. It includes chemical peels, microdermabrasion, Botox, Derma fillers, Microneedling, and Lasers. What are the commonly used chemical peels? Commonly used peels are lactic peels, salicylic peels, glycolic peels and retinol peel. They are used for Acne, Dull Skin, Fine Wrinkles, Irregular Pigmentation, and Rough Texture etc. What results one can expect after the chemical peel? Chemical peels enhance and improve the texture of skin and brighten the complexion. After 4-6 sittings visible dramatic change in the form of smoother and younger looking skin with reduced blemishes and healthy glow can be achieved. Microdermabrasion involves the use of sprays of fine crystal particles to abrade the skin. It improves skin texture, fine lines, mottled pigmentation and gives the instant glow. Microdermabrasion is basically very cost effective and non- invasive skin rejuvenation procedure that leaves skin looking softer and brighter. How is safer LASER Hair Reduction? How many sittings are required for optimal results? A Laser hair reduction is an absolutely safe procedure for reduction of unwanted body hair. About 4-6 sitting are required at a monthly interval. It converts thick, dark, coarse hair into the soft, fine, and cosmetically acceptable hair. Botox can be used to soften the appearance of lines and wrinkles that deepens with expression. These include the horizontal lines of the forehead, frown lines and smile lines on the side of the eyes (Crow's Feet). It can also be used for jaw-line shaping (Nefertiti Lift). Soft tissue Augmentation involves the injections or insertion of a substance (derma filler) to smoothen the lines of wrinkles by providing support under the skin. Commonly used Fillers contain Hyaluronic acid (HA) which is present in our skin and is responsible for the good healthy looking skin.